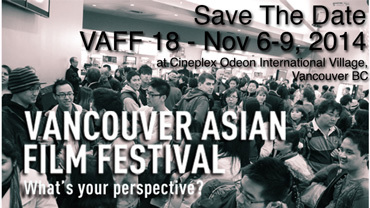 Thanks to all filmmakers who submitted to the 18th Annual Vancouver Asian Film Festival. The Open Call is now closed. Film submission was open from March 15 to May 31, 2014. We wish the filmmakers who submitted all the best. The programming team will be in touch with selected filmmakers.